To be sure, Google is to take their fair share of blame by not providing incentives or forcing manufactures – and by extension phone carriers – to provide the latest update. It is this lack of forced upgrading that causes the cliff between install bases of the two major mobile OS platforms out there. Apple, while it seemed draconian at the time, took carriers out of the mix when they released the iPhone ten years ago. All updates to the platform come from Apple directly and they support older devices for far longer than Android manufactures. For developers, this has a knock-on effect as for Android, they have to support more versions of Android which can potentially introduce security issues and bugs. 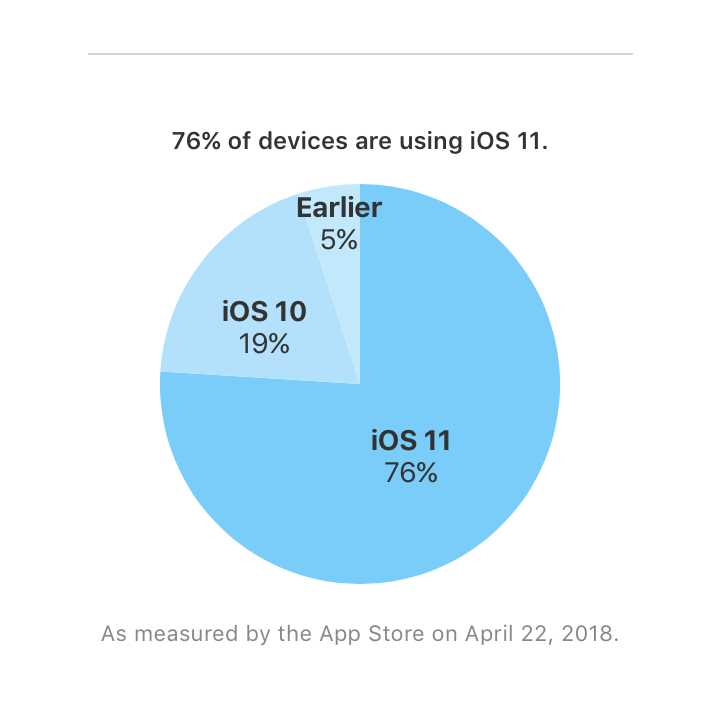 iOS developers on the other hand pretty much only have to worry about supporting iOS 11 or iOS 10, making things cleaners and simpler for them.